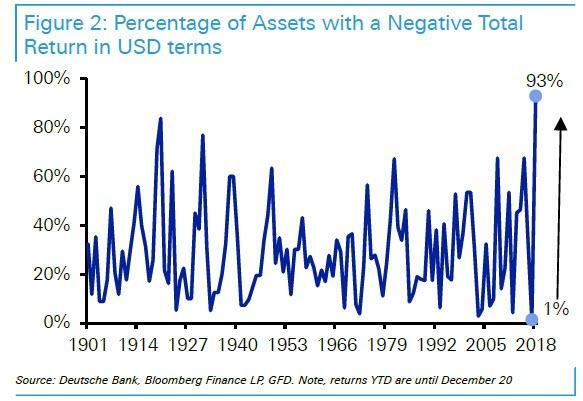 It is by now common knowledge that 2018 was the year when "nothing worked", because as Deutsche Bank showed a record 93% of assets posted a negative total return in the past year. ... it is perhaps no surprise that the only asset to post a notable upside in the past year was boring old cash. 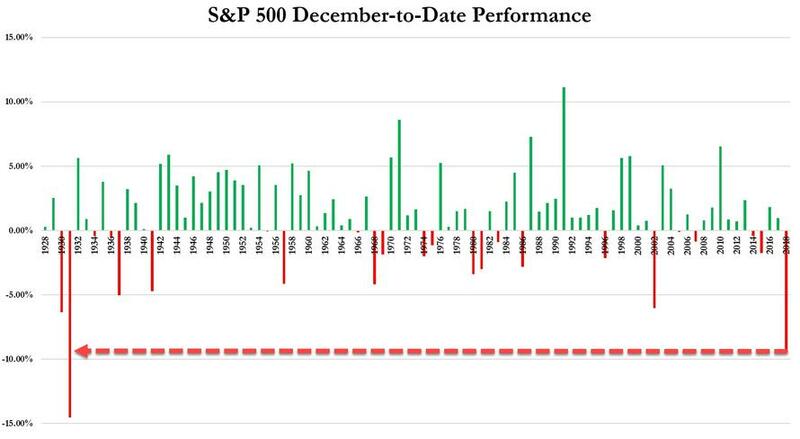 And yet digging through the world's various stock markets reveals that not all was a disaster. Yes: most global markets closed the year in the red, but there were two surprising outliers - in dollar terms, two Gulf nations enjoyed a positive return in 2018. In fact, while Saudi Arabia eeked out a 7.2% dollar-denominated gain, it was the UAE that was the year's best performing stock market of 2018 (in dollar terms). 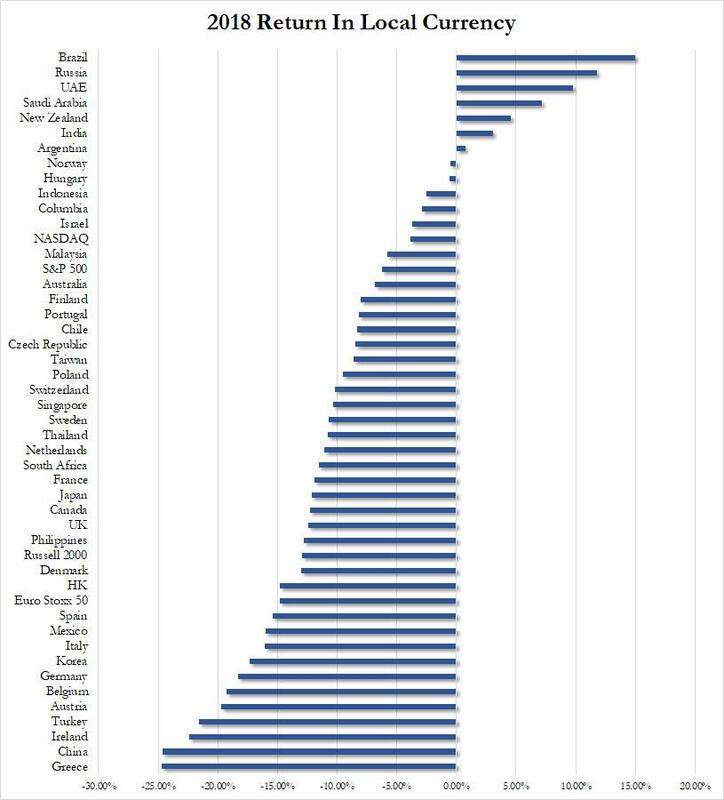 Of course, on the other end, there were the likes of Ireland, Greece, China, Turkey and Argentina, all of which dropped more than 25% last year. 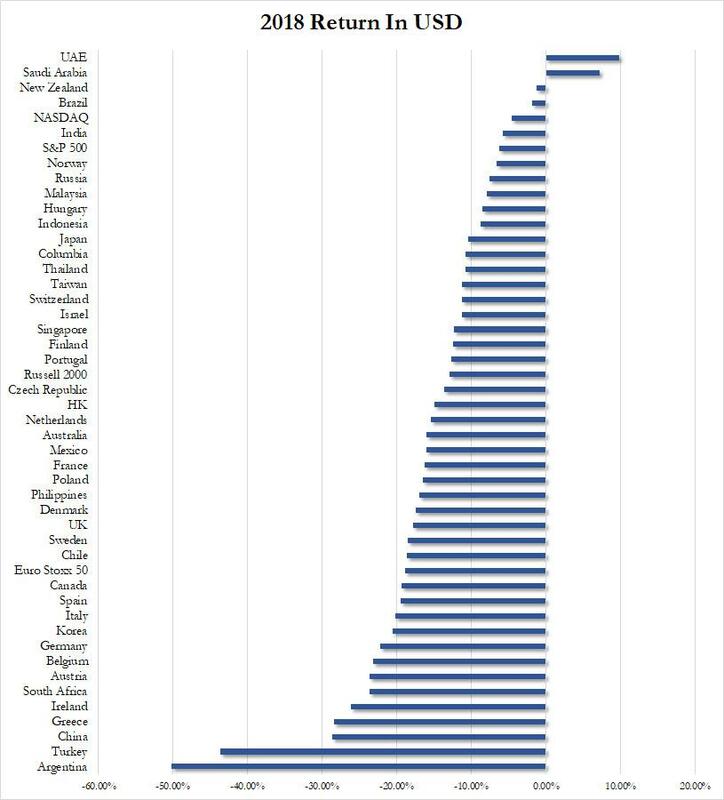 Meanwhile, in local currency terms, the picture was even brighter, with at least 7 major markets generating positive returns last year, among them Brazil, Russia, UAE, Saudi Arabia, New Zealand, India and Argentina. So to anyone who correctly read the tea leaves and invested in these outperforming markets, congratulations. To everyone else, better luck next year.